The first reports of the Ebola virus in West Africa broke in March of this year. 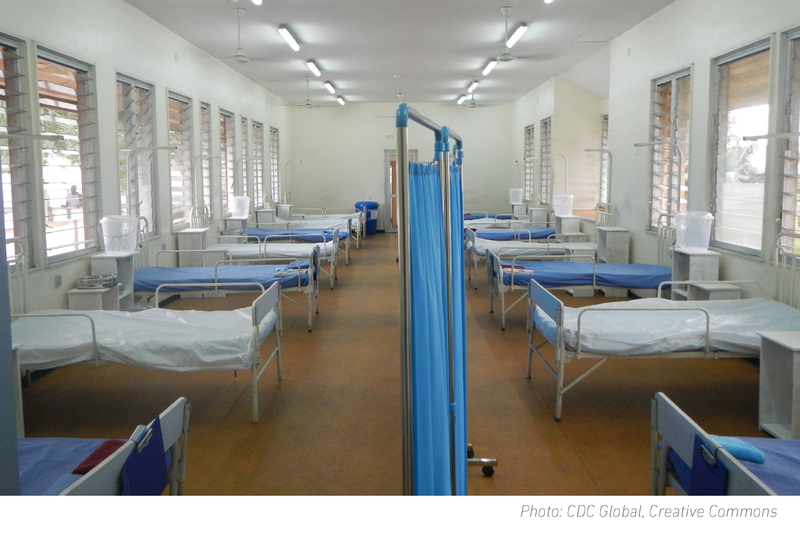 Rumors and reports popped up, the world watched thinking, “oh, it’s just a few people, I’m sure they’ll get it under control.” Until a devastating CDC report was released warning that the Ebola epidemic was outpacing the ability for adequate response. Reported cases in Liberia seemed to be doubling about every 2-3 weeks, while Sierra Leone seemed to be doubling almost with every passing month. “The number of Ebola cases in Liberia and Sierra Leone could rise to between 550,000 and 1.4 million by January if there are no ‘additional interventions or changes in community behavior,’ the Centers for Disease Control and Prevention said in a report Tuesday.” Praise FM Tweet: “We prayed several times on the air today regarding the CDC report. Brokenhearted.” Executive director David McIver of Praise FM radio—a vital part of the prayer covering for the ministry of OneHope—recently talked on-air with Pastor Sylvanus Elorm, OneHope’s regional director for West Africa. Pastor Elorm was so appreciative of the chance to share the impact the Ebola outbreak has had on the work of OneHope in West Africa. “This is a disease of isolation,” proclaimed Elorm. He explained that it is changing their entire culture. When someone gets sick, they are immediately cut off from their family—they must not touch each other or be in the vicinity of someone who is ill because you don’t know whether it is Ebola or not. If you go to a hospital, the doctors and nurses are afraid to come near you or give you an injection. Churches, where people once greeted one another affectionately are sparse—no one wants to be near each other and people are afraid to give a handshake or offer any type of hospitality. A disease is changing an entire culture! By the middle of this year, we remained on target for reaching children and youth with God’s Word in West Africa. In Ghana alone this year, more than 500,000 discipleship materials have been distributed in partnership with Evangelism Explosion. In every corner of Nigeria, Sierra Leone, and Liberia—over 2 million have been able to view The GodMan movie. The government of Sierra Leone shut down the entire nation for 3 days in a row in September order to help curb people’s interactions and slow the spread of the epidemic. “The current epidemic sweeping across the region has now killed more than all other known Ebola outbreaks combined. Up to 14 October, 4,555 people had been reported as having died from the disease in five countries; Liberia, Guinea, Sierra Leone, Nigeria and the United States. The total number of reported cases is in excess of 9,216. The World Health Organization (WHO) admits the figures are underestimates and warns there could be as many as 20,000 cases by November if efforts to tackle the outbreak are not stepped up.” After reviewing the Ebola crisis—especially in Sierra Leone and Liberia, OneHope made the hard decision to temporarily shut down the normal day-to-day operations for the safety of all involved back in mid September. Instead of the virus getting under control, our partners living in the midst of the crisis stated, “it looks like it is getting worse and no solution appears readily available.” While there is no cure for Ebola, there are some who have survived the disease. Making headlines was Dr. Kent Brantly, who had been serving in Liberia with Samaritan’s Purse and suffered—but survived—the disease. “Faith is central to my life. I am who I am, I do what I do because of my faith. I believe that God has used the people in my life, my parents, my friends my community I feel like God called me to be a medical missionary. That why I was in Liberia in the first place,” he said. He prayed constantly. “I don’t think there is anything special about me that made God save my life,” Brantly said. He doesn’t think that means people who did not survive had less faith, or were somehow less favored by God. “I survived. That is not to say that for everybody else who died God was absent,” he said. “God promises that he hears our prayers and that he answers them. Not every answer is yes.” It has been and will continue to be our privilege to pray for and serve our brothers and sisters in West Africa. We stand with Pastor Elorm and his proclamation prayer acknowledging that nothing is new to our God, believing that there is nothing that He cannot overcome—even disease. We pray that He will completely heal the land, gather the people back together in community, and bring many into His Kingdom.